We spent the month of August traveling the world on the first Christmas In July vacation! 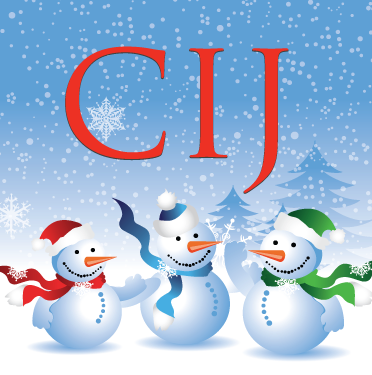 Since the CIJ team is worldwide we held a virtual #CIJVacation right here on our blog! The Road Trip began on Friday – August 4th, 2017 and concluded on Thursday August 31st, 2017. As I mentioned the team is international and we went to visit many countries along the way! Each team member shared with us their favorite vacation spot. I personally made many new friends and the world feels smaller to me now! Please join me to enjoy vacation memories of a lifetime! Please use #CIJVacation on social media as you visit all the favorite vacation spots we shared with you! Thank you so much for joining us on our #CIJVacation! Our favorite vacation destination is Glacier National Park, Montana. Located in Northwest Montana, Glacier is home to mountains, lakes, a variety of wildlife, and (obviously) glaciers! It is a beautiful place, and is close to the town where we grew up. Must-see spots in Glacier National Park include Lake McDonald, the Avalanche Creek Trail, the Weeping Wall, and the Logan Pass summit on the “Going to the Sun” highway. All of these places are easily accessible, so don’t miss them if you plan to visit Glacier! I’m sure that there are many other must-see places, since the park is huge, but I’ve listed the ones that I visit almost every time I go there. Glacier National Park is filled with mountains, and the Continental Divide passes through it. The photo ops are amazing, so don’t forget to bring your camera! Please heed the warning signs regarding the local wildlife- they are totally serious about the dangers of the grizzly bear. Campground and picnic areas are my favorite spots to enjoy a meal or snack, but you can also choose to dine at the Lake McDonald Lodge instead. There are also eating establishments inside or outside the park. When I was growing up, a trip to Glacier National Park was in order every time our cousins came to visit from out of town. We’d usually picnic at Lake McDonald and then take a quick hike along Avalanche Creek. I went to the Park this summer, with my brother, and I’ll go again next time I visit the area. It is gorgeous! One of my all time favorite vacation destinations is Taos, New Mexico located in the southwestern United States. I love the big, blue skies and the beautiful western scenery. If you ever have the chance to visit, you should make time to tour the Taos Pueblo and go to the Rio Grande Gorge (maybe even go on a white water rafting tour). Also, it is fun to tour the many art studios on the Taos Square. If it is winter, the Taos ski valley is close by. Taos is famous for it’s beautiful southwestern landscapes. You can see the tallest mountain in New Mexico, Wheeler Peak, from the town. It is known as an artists colony and people come from all over to paint the New Mexico sky. The chile rellenos at the Taos Inn are delicious! We used to visit Taos almost every year but our life is pretty hectic right now so we haven’t been in a while. I hope to get back soon!